I have decided to dip another toe in the world of the haibun – a piece of prose followed by a haiku poem. The Līgo Haibun Challenge is hosted by Penny, Ye Pirate and Nightlake – why not take a trip to their blogs to find out more? I have chosen Rabindranath Tagore as my inspiration – I hope you enjoy it. She sometimes forgets. Wrapped up in the treadmill of her days – the getting up, the showering, the dressing, the rushing out of the house; she is distracted. Half a mind on this, the other on that. But then, late at night, as she steps into her bedroom, switches on the lamp and bathes herself in its pool of yellow light, she catches a glimpse. She is peeling off the day; removing her jacket, her blouse, skirt and stockings. Her mirror records the moment, that millisecond when half-turned, she sees the inky etchings on her rose-blushed skin. It was a choice she made not so long ago, to record a time in her life that changed the path that she thought had been set. A reminder that for her, life’s opportunities must not be taken for granted and yet sometimes, she also just needs to breathe. *Yes, I have Tagore’s quote etched on my skin, in a huge spiral across my back, starting at the base of my spine. Yes, this is autobiographical. No, you don’t get to see pictures! 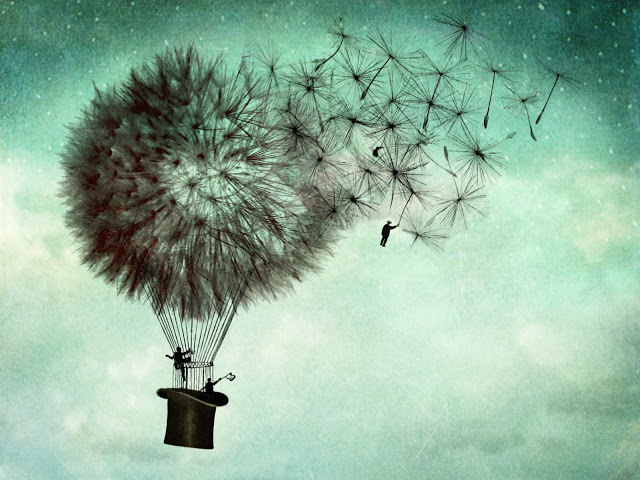 Here’s my submission to the dVerse Poetics prompt – this week, we are asked to write something inspired by one of the six beautiful artworks created by Catrin Welz-Stein showcased in the blog post. I hope you enjoy my piece which has been inspired by the picture below – please do visit the linky link thing to read many more! and light my way out from the dark. 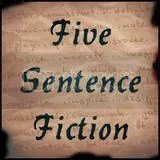 It’s time for my latest offering to Lillie McFerrin’s Five Sentence Fiction, a weekly prompt where there is no word limit, just a limit on the number of sentences. Plus, although she provides a word prompt, it is just for direction only – you don’t have to include the word itself in your contribution. This week, the prompt is – MAGNETIC. The boy stared, the tingling that had started in his fingertips crawling up his arms like an army of ants; they had all told him not to open the door. It wasn’t anything special, just plain wood that could do with a lick of paint – in its prime it must have been scarlet, now it was dulled with age and several flakes lay on the floor, crispy like autumn leaves; they crunched under his shoes. He sidled closer, reaching out to touch the handle, pulling his fingers back sharply as they made contact with the cold metal.